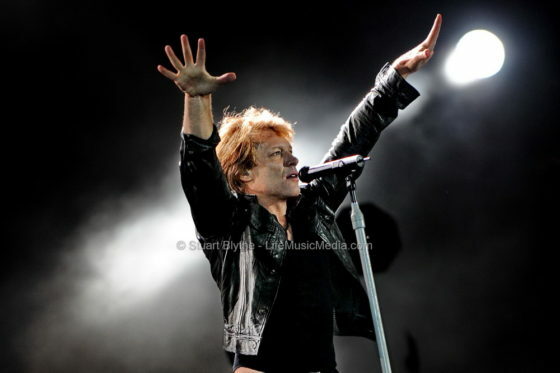 International superstars Bon Jovi this week achieve their eighth ARIA Album Chart No.1 with the debut of “Bon Jovi Greatest Hits”. It’s the band’s first chart-topper since “Have A Nice Day” entered in peak position in September 2005, with the past four #1 albums coming in at five-year intervals; “These Days” hit the top in July 1995, followed by “Crush” in 2000. Meanwhile, entering the ARIA Album Chart at #2 with her sophomore release “The Gift” is Britain’s leading lady Susan Boyle. Her debut album “I Dreamed A Dream” took the chart by storm last Christmas, spending a mammoth eleven weeks at the top and achieving nine times Platinum status in the process. “I Dreamed A Dream” makes a return to the top 40 this week, coming in at #20. Following the music industry’s ‘night of nights’ last week, local ARIA Awards performers enjoy a significant spike on both the ARIA Singles and Album Charts. The night’s big winners, Angus & Julia Stone, took out gongs for Single of the Year with “Big Jet Plane” and Album of the Year with “Down The Way” – “Down The Way” jumps from #10 to 5 on the Album Chart, while the hit tune “Big Jet Plane” races up the ARIA Singles Chart into a new peak position of #21. After delivering a jaw-dropping performance at the awards ceremony, Sydneysider Washington shoots twenty-two spots up the ARIA Album Chart to #13 with her acclaimed record “I Believe You Liar”. Also experiencing a kick after their ARIA Awards performances are Perth lads Birds Of Tokyo, whose self-titled album jumps five spots to #15 and smash single “Plans” climbs seven spots to #13. Quirky singer/songwriter Sia scored a double ARIA Awards win for Best Pop Release and Best Independent Release for “We Are Born”. Her award-winning record peaked at No.2 earlier this year and is up a huge twenty-one spots to #18 this week, while “Clap Your Hands” advances nine spots to #17 and “I Go To Sleep” makes a #32 debut on the ARIA Singles Chart. The John Butler Trio’s former chart-topper “April Uprising” moves up ten spots to #21 on the ARIA Album Chart following their stripped-back performance of “Revolution” last Sunday night. In further ARIA Album Chart news, homegrown pop princess Jessica Mauboy secures a #6 debut with “Get ‘Em Girls”. It’s her third Australian chart album, and the second album to make a top 10 entrance; Jess’s debut record “The Journey” entered and peaked at #4 in 2007. “Some Kind Of Trouble” from James Blunt comes in at #11 in its first week on the album chart, Michael Jackson’s “The Essential Michael Jackson” climbs from #40 to 23, and new favourite Cee-Lo Green debuts at #24 with “The Lady Killer”. “Libra Scale” from r’n’b star Ne-Yo debuts at #36 this week. Ke$ha holds at the top of the ARIA Singles Chart for the second week running, as “The Time (Dirty Bit)” gives The Black Eyed Peas their fourteenth Australian top 10 single. It debuts at #10 and is the band’s tenth single to achieve a top 10 entrance. “Grenade” from Bruno Mars blasts seventeen spots up the chart to #23, with further chart debuts claimed by Jason Derulo and “The Sky’s The Limit” at #24, Nelly featuring T-Pain & Akon and “Move That Body” at #29 and “Teenage Dream” from Glee Cast at #35. Coldplay’s “Fix You” featured last week in Channel 7’s drama ‘Packed To The Rafters’ and consequently returns to the top 40, sitting at #37. Rock’s global icons, Bon Jovi, return to New Zealand and Australia in December with a series of gigantic stadium shows as part of The Circle world tour. 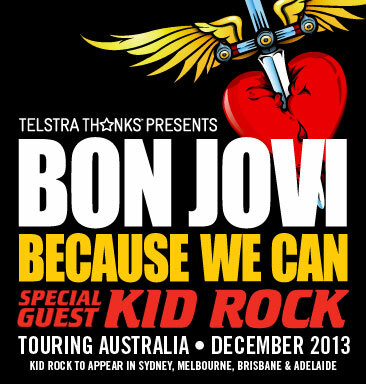 Bon Jovi will play Wellington, Auckland, Sydney, Melbourne, Perth, and Brisbane. Family can be a strange place. Despite this being a school night, a somewhat uneasy and restless vibe is easily palpable as dilated-pupil clientele wander about, while one clearly “under the influence” punter tries to strike up a conversation with me about how it’s going to be “a good night” and later passes by and wonders whether I’m “trying to be cool” as I check my phone for messages. Peaking too early is never fun, dude.